Homemade Ragú sauce over brown rice. That simple. Sometimes you just have to throw out all the traditional conventions. I was doing a test run of a Ragú sauce for a New Year’s event and I had a bottle of South African Sauvignon Blanc sitting around. Ragú, by the way is a basic style of Italian sauce with tomatoes, herbs, onion, carrots, chopped up beef , a bit of cream to thicken and a dash of vinegar; please don’t think I opened up a jar of the brand name stuff. The sauce turned out fantastic. 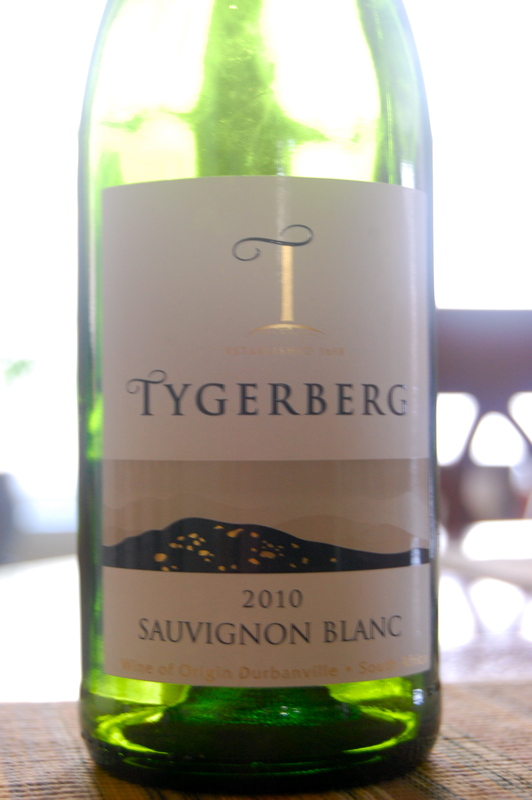 The Sauvignon Blanc also turned out to be pretty fantastic as well. As an extra bonus, they worked together pretty darn well. The Sauvignon Blanc was green all over. Grass, green pepper, green fig and it had a good sized body that with its acidity, went nicely with the texture of the sauce. The greens in the wine really highlighted the herbs I had used to flavor the sauce. It also helped that the beef was chopped up into small pieces and cooked to tender perfection. Would this have worked with a New Zealand Sauvignon Blanc? Probably not. You will not find this pairing ANYWHERE, but it works. Try it out!